Living away from home is your first step towards independence. This can be a significant change in your life. Our staff from accommodation services will assure you have a pleasant and enjoyable stay while studying in Malaysia. Penang is made up of an industrious mainland and a picturesque island, situated to the Northwest of Peninsular Malaysia. Known for its old-world charm and urban lifestyle, Penang houses generations of harmonious multiracial communities. The place is famous for its sumptuous street food, beautiful coasts, diversified industrial mix, and delightful Penangites. In the last few years, the tech startup scene in Penang has been growing by leaps and bounds, turning it into a hotspot for talents. 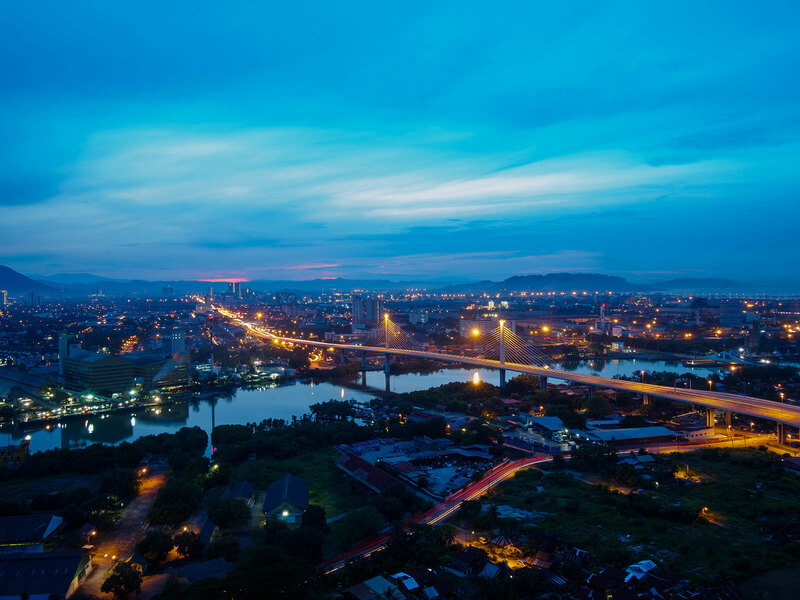 With the ever booming industrial zones and upcoming tech startup ecosystem, SENTRAL is strategically situated in the heart of George Town, at the junction of Lebuh Penang and Lebuh Bishop. The SENTRAL Tower houses a 14-storey, rich learning environment that befits the learning journey and growth of successful graduates. Listed as UNESCO World Heritage Site in 2008, Penang has rich cultures and well-preserved heritage buildings. Thus, making it a great place for students to stay and immerse themselves in its rich environment with affordable conveniences. Furthermore, with the myriads of industries Penang has to offer, students will have the right environment and industrial experience to learn and grow. All international students (full-time and foreign exchange students) are required to obtain a valid Student Pass from the Malaysian Immigration Department in order to pursue their course of study at SENTRAL College Penang. The Student Pass which is issued on a yearly basis is a non-transferable pass and subject to renewal. Submission of documents to ISO of SENTRAL College Penang. Letter of Offer – a conditional Letter of Offer will be issued upon satisfying the entry requirements, English language proficiency requirements (if applicable) and stipulated fees paid. Student Pass Application – the College will submit the student’ pass application for e-VAL through EMGS. For straight forward cases, the application process will take approximately two (2) to three (3) months. Pre-arrival medical screening – after the College has created the application in the STARS Portal of EMGS, the students must proceed for medical screening at EMGS’ panel clinic at their home country. Approval of VAL – ISO will inform the students upon approval of the e-VAL from the Malaysian Immigration Department through EMGS. Remittance of stipulated fee – the students are required to remit the stipulated fee after the approval of e-VAL before arrival. Upon arrival in Malaysia, the students must pay the total fees of the programme, deducting the amount remitted prior to arrival.Note: If the students terminate his/her e-VAL or fail to obtain the student pass endorsement due to health reason, the College will refund the advance fees paid in full (refer to the College’s refund policy and procedure). Download e-VAL – on confirmation of receipt of the stipulated payment by the College’s Finance Department, the e-VAL in PDF format will be e-mailed to the students. Alternatively the students may also download the e-VAL through the “Track Application” of EMGS website. ISO will furnish relevant pre-departure information. Single entry Visa – upon receiving the e-VAL from the College the students will have to obtain a Single Entry Visa from the Malaysian Embassy or High Commission at their home country in order to enter into Malaysia. Arrival – the students are required to update the ISO of his/her flight itinerary via email or facsimile at least seven (7) working-day before arrival. The final port of disembarkation must be at Penang International Airport only. The students must NOT disembark at any other airport in Malaysia. In-country medical screening at EMGS’ appointed clinic – the students are required to perform an in-country medical screening at EMGS’ appointed clinic within seven (7) working days from the arrival date. Sticker endorsement – once the students pass the medical screening, the College shall proceed with the student pass endorsement process. To complete the Student Admission Application Form. To photocopy three (3) sets of passport data page, pages with Visa information & observation pages that show extensions, clarification of name or previous passport number. The passport must be valid for at least 12 months from the expected date of entry. To submit four (4) passport size photograph with white background. Size 35mm x 45mm. To submit three (3) sets of certified true copy of high school leaving certificate; translated into the English language, if applicable. To submit three (3) sets of certified true copy of all academic records, certificates or transcript; translated into the English language, if applicable. Pre-arrival Medical Examination Report from home country if the screening was done at a non EMGS registered clinic. A copy of the Lab report and chest x–ray report should be attached. All reports should be completed in the English Language. No Objection Certificate (NOC) or Letter of Eligibility (LOE) for students from Sudan or Iran. Letter of Clearance from the former institution of higher learning will be required. A letter of completion issued by the previous Educational Institution will also be accepted. Attendance report from the former institution of higher learning; attendance must be at least 80%. No Objection Certificate (NOC) for students from Sub Saharan Africa except South Sudan, if applicable. 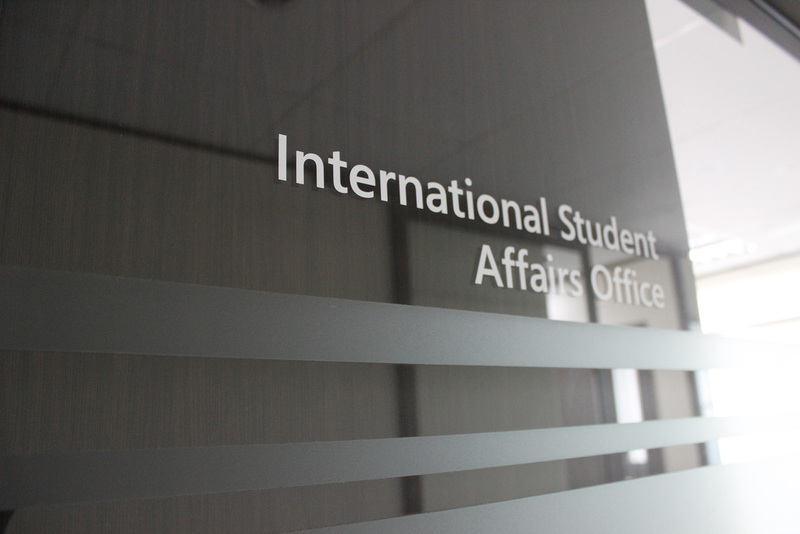 To facilitate the renewal process, all international students must submit the relevant documents to ISO at least three (3) months prior to the expiry date of his/ her student visa. Note: In accordance to the Malaysian Immigration Department’s regulation, overstaying in the country is a serious offence which may result in a fine of RM10,000.00 or imprisonment for two (2) years. Hence, international students who fail to adhere to the regulations are personally liable. To photocopy three (3) sets of passport data page, pages with Visa information & observation pages that show extensions, clarification of name or previous passport number. The passport must be valid for at least 12 months from the expected date of expiry of the existing student pass. To submit two (2) sets of certified true copy of special pass and/or passport page with the exit stamp. To submit two (2) sets of academic transcript for the duration of the current student pass validity period. The students must achieve a CGPA of at least 2.0 in order to renew their student pass. To submit two (2) sets of attendance report for the duration of current student pass validity period. Overall attendance must be at least 80% for the renewal of student pass. International student pass is usually issued on a yearly and non-transferable basis. International students are required to apply for a new student pass when he/she is progressing to the next level of study, change of programme or institution. Conversion of social pass to student pass is strictly prohibited. As an international student from Bangladesh, I feel the warmth and friendliness of the staff and students at SENTRAL College Penang. Being far away from my own country, I feel very much at home here, even in a multi-cultural environment. I have no difficulty interacting with my classmates. In fact is has built my interpersonal skills. I am very happy to be studying here. I love SENTRAL College Penang and am proud to be a SENTRALIAN.